When recreational marijuana went on sale in Colorado in 2014, the government's goal was to regulate and tax a drug that was already widely used and to squeeze out dealers and traffickers in the process. But law enforcement authorities in the state say legalization has done the exact opposite. Even though there are more than 500 recreational marijuana dispensaries in the state, the black market is booming. It's being driven by criminal organizations that grow weed in Colorado and smuggle their crop into states where it is still illegal and can be sold for a much greater profit. The black market hasn't gone away within the state, either, because some marijuana users are deterred by the higher dispensary prices and are loyal to their long-time dealers. Investigators say the illegal trade has flourished because the state laws around growing marijuana were overly generous in the beginning and hard to enforce. As Canada prepares for legalization, CBC News spoke to insiders to get their perspective on why the black market is thriving in a place where pot is legal. Investigators with the federal Drug Enforcement Administration (DEA) focus on the largest and most serious drug trafficking rings operating in the United States. Paul Roach, a DEA supervisor, says his team spends about 15 per cent of its time on marijuana trafficking cases — a threefold increase from before legalization. "Colorado has basically become the marijuana capital of the United States," he said. "You find drug trafficking organizations moving here, setting up shop in Colorado and sending it back to their home states where they can sell it at incredible profit." Colorado's high-altitude weed is being trafficked to dozens of states, but some of its largest recipients are Florida, Illinois and Texas, according to a report by the Rocky Mountain High Intensity Drug Traffic Area. It works to support the national drug control strategy while co-ordinating investigations between different authorities. 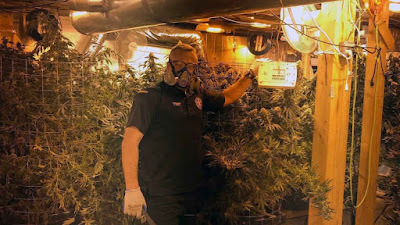 Criminal organizations, including groups tied to Mexican and Cuban drug cartels, are growing marijuana in rental homes, warehouses and even on forested federal land. In some cases, they are operating in plain sight and are disguised as legitimate operations. "The cartels and drug trafficking organizations, in general, will go where they will make money," Roach said. "If they see an opportunity in Canada to increase their profits by exploiting Canada's laws, then I expect them to do that." 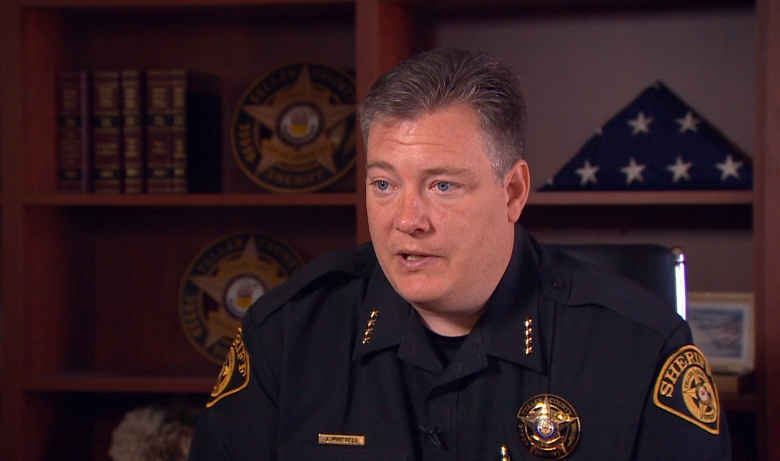 Jason Mikesell is sheriff of Teller County, Colo., a rural community nestled against the Rocky Mountains. This picturesque county of 24,000 is favoured by young families and retirees, but Mikesell says criminal organizations are also moving in to smuggle pot out. "Never would we have thought that we would have this issue going on in our community," he said. While he believes most of the illegal marijuana grown in Teller County is destined for out of state, he also says there is a local black market. Last fall, Mikesell wanted to sell an SUV, so he listed it on Cragislist. A prospective buyer offered to trade for nearly two kilograms of pot. Mikesell set up the trade, and when the buyers arrived, they were arrested and charged with illegal distribution of marijuana. One of them was convicted and recently sentenced to four years in prison. Mikesell says Colorado was the test subject for legal weed in the U.S., and the state regulations that made enforcement difficult because people were allowed to grow so much of their own marijuana. In the beginning, each person could grow up to six plants, and they could pool them together in a co-op. Medical patients could grow up to 99 plants and appoint a caregiver to grow it for them. 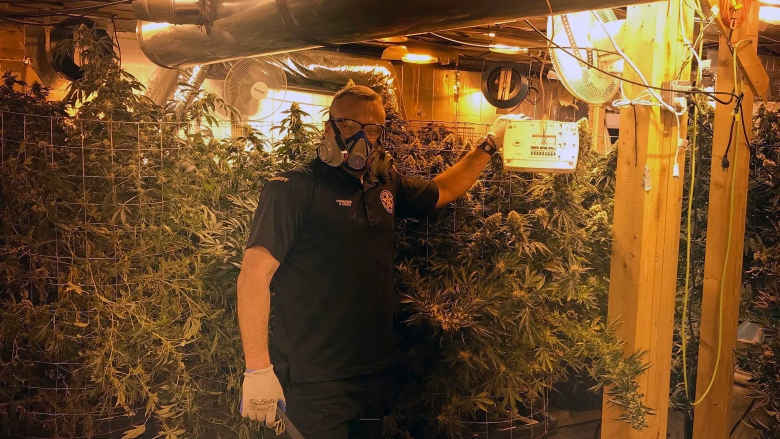 More restrictive laws were introduced earlier this year, limiting each residence to a maximum of 12 plants, so the sheriff's office has been able to ramp up enforcement. The sheriff's team has raided eight houses so far this year and has seized more than $3.5 million US of marijuana. During those investigations, they arrested more than 20 cartel members with connections to Cuba and Miami. Mikesell says his team has been tipped off about some of the grow operations because people have called in complaining about strong odours in their neighbourhood. "We know there are another 60 or 70 marijuana houses we haven't got to yet," said Mikesell. Other local police departments in Colorado are getting similar calls from residents who also report excessive noise from air conditioning units and blown electrical transformers, according to the DEA. A dealer who agreed to speak with CBC News on condition that he not be named said he spends most of his days in the front seat of his sedan driving around Denver. An air freshener dangles from the mirror of his vehicle, but it can't disguise the lingering smell of weed. On his lap, he holds a plastic bag containing marijuana buds. "In a good day … I am making $400 to $500," he said. The father of two advertises online along with dozens of others who grow and sell marijuana illegally. 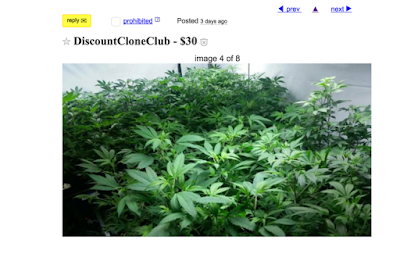 He runs a delivery service and sells marijuana that he's picked up from a network of growers who have "extra" product, and he also grows his own. He compares himself to a pizza delivery man because, he says, he guarantees delivery to anywhere in Denver in less than an hour. He says legalization hasn't had a big impact on his business because he caters to clients who don't want to be seen going into a dispensary. "I have had nurses that have contacted me via the internet and have a delivery brought to their home or their office or wherever they feel comfortable," he said. His clientele also includes a number of truck drivers, who are prohibited from using marijuana under federal transportation laws. While the dealer's operation helps him provide for his family, it isn't his full-time job. He says he has a couple of more "respectable" side projects that keep him busy, but he says one of his goals is to make marijuana more accessible. He does worry about being caught by the police but admits there are other risks to operating in the black market. "I have had people sit right there ... with a gun to my head," he said, pointing to the front passenger seat. Whenever Larisa Bolivar, 42, wants to pick up some marijuana, she heads to one of her preferred Denver dispensaries where she can buy cannabis to smoke and edibles to eat. As president of Colorado's Cannabis Consumers Coalition, she is both a longtime user and an advocate. For the past two years, she has conducted online surveys by polling marijuana users about just where they get their pot from. She reached out through the coalition's Facebook page, which has 17,000 members, and contacted people directly after obtaining customer lists from cannabis-related companies. She had 527 people respond to her 2017 survey, and while she is still tallying the results for this year, she says the findings are consistent. "There is still a larger percentage of people buying from the black market [than legally]," she said. The results of Bolivar's Facebook survey suggested nearly 50 per cent of the respondents were not shopping at the state's licensed dispensaries. Bolivar says most are buying their pot off of friends or sticking to their regular dealers because they trust them. In Colorado, you have to be 21 to buy from a dispensary, and you have show identification. Bolivar says accessibility is also an issue: not all communities have retail stores. Taxes and fees on marijuana have brought in more than $250 million US to the state last year. Bolivar says those additional costs are the biggest driver toward the local black market. "I really think a lot of it has to do with price," Bolivar says. The tax rates vary by municipality. In Denver, for example, people buying recreational marijuana pay a tax of 23.15 per cent. "If I can save $5 on a purchase, that is a cheap lunch," Bolivar said.